The Harrison is one of the lesser-known cocktails we’ve ever talked about here, probably because it uses raw egg white. Bars are understandably wary of putting raw egg ingredients into cocktails anymore. But many home bartenders feel raw egg isn’t as unsafe as its publicity would have you believe. If you’re afraid of raw eggs, use powdered egg whites – the way they’re manufactured makes them about as safe as can be, yet they really are just egg whites with the water removed. 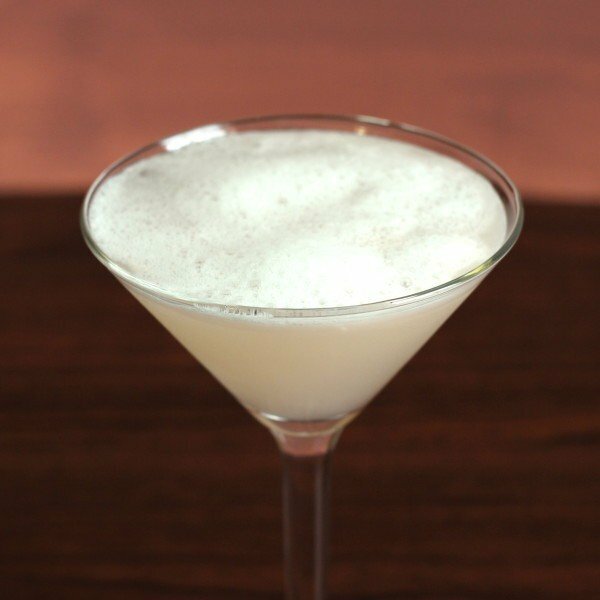 In a bitter drink, like the Harrison, egg whites mellow the flavor and add a foamy texture that’s delectable. The end result is an herbal, citrus, slightly sweet drink with just a touch of froth. Shake with ice and strain into a martini glass. You can garnish it with a citrus garnish of your choice, if you want, but it’s not considered necessary.